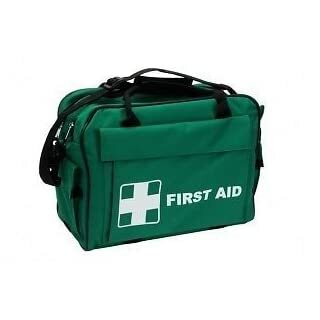 Emergency bag used by first-aiders, first responders, Sports Clubs and for general medical equipment. This holdall features a main compartment, a side pocket either side and a smaller end pocket either end. Bag Features. Made in 420D Cordura material with an approximate external size of 41cm x 28cm x23cm. The bag has double carrying handles with a removable shoulder strap. 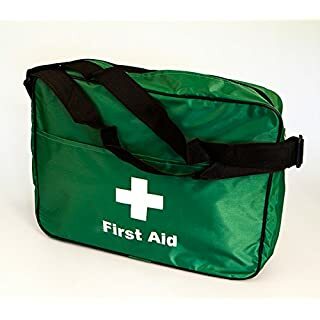 The main compartment is wide opening with dual rapid entry top zippers giving an internal compartment of approximately 39cm x 27cm x 15cm, the interior can be compartmentalised into 5 area or left as one large space. 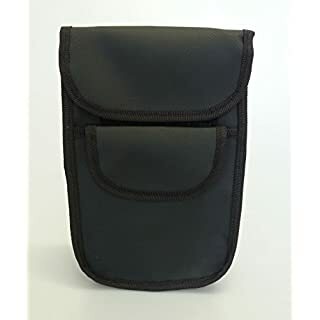 Side pockets are Velcroed size approximately 29cm x 20cm x 4cm End pockets are velcroed size approximately: 12cm x 14cm x 4cm. 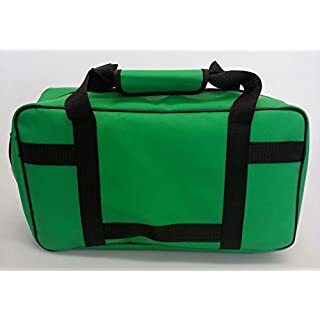 We can print your organisations name on this bag free of charge. Print details MUST be provided at time of ordering otherwise it will be sent without print. 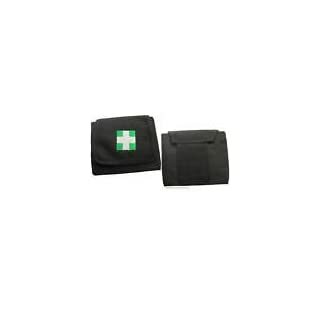 KITTED PERSONALISED FIRST AID BAG WITH SHOULDER STRAP. WINTER SPECIAL OFFER.